Crafted to last of stable stainless steel with just the right touch of gleaming sheen, the Alba Counter Stool by Sunpan is expertly upholstered in eye-catching and enduring imitation leather in your choice of bold yet neutral graphic hues to mix or match. 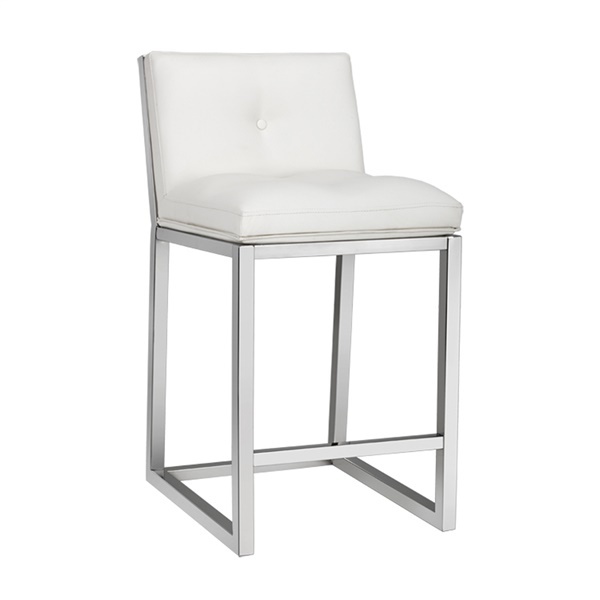 Featuring a footrest, Sunpan�s Alba Counter Stool slides with elegant ease into all kinds of home or office aesthetics to offer a clean-lined and comfortably cushioned complement to many modern motifs. Offered as part of the Ikon collection. Faux leather single-tufted seat and back deliver supreme comfort. Stainless steel frame and footrest provide the ideal mix of form and function. Designed for contract and residential settings. Available in multiple stunning colors.